At the end of the 1950s, the old, "beloved" straw disappeared and was replaced by a tube made of plastic, the material that seemed to symbolize progress for our society. Today, in Germany alone, there are over 40 billion plastic drinking straws that are consumed annually, a mountain made up of more than 25,000 tons of plastic, unfortunately all too often found on roads, forests and beaches. 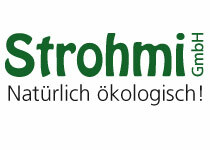 Strohmi GmbH offers you the ecological alternative to plastic straws!